We are bombarded with ads every day that tell us we need to take care of our hearts. The most recent fact sheets from the CDC still list heart disease as the number one killer in the US. For a long time the focus was primarily on men, but in the past few years we have become increasingly aware that women need to guard their hearts as well. Heart Health, there’s more to it! If we’re thinking about heart health, though, there is more to the equation than just the heart. The heart is an important muscle in the body to be sure, but the circulatory system as a whole must be taken into account as well as the emotional well-being of the person in question. In eastern health methodology, the heart chakra is associated with feelings of joy, hope, and emotional stability. When in balance it allows us to give and receive love freely. Bringing the eastern methodology together with western medical practices can help us to understand a deeper healing after circulatory illnesses and crises. I have personally seen patients who undergo open heart surgery but never seem to thrive again. Many times their physical body was addressed, but their “broken heart” is left untreated. To care for our heart and its system, then, it is always appropriate to consider any therapy that reminds us how to laugh, love, and remember. When we talk about plants that can support a healthy heart and circulatory system, it is more appropriate to talk about supportive therapy. Most of the plants that are used support the health of the system, rather than taking direct action. Digitalis is a drug derived from foxglove, it is an example of a plant with a direct rather than tonic action. It can be deadly unless used precisely. 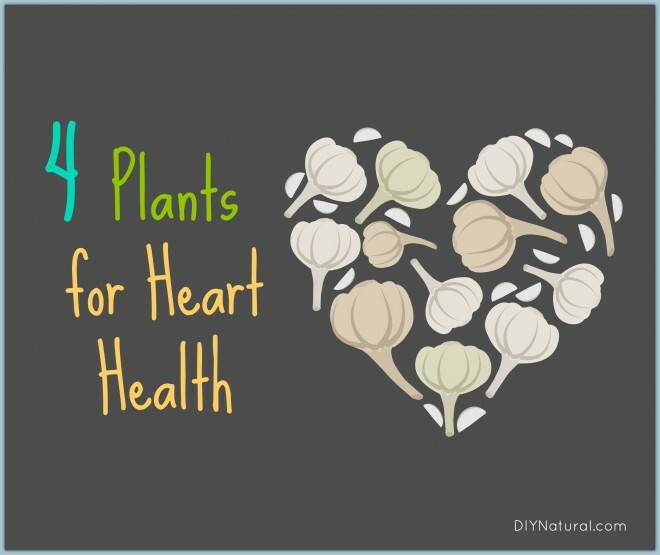 The plants below are common daily supplement-like aides to heart health. They can be used in most anyone, even those who have had health crises and are on prescriptions. There are more and more growers of this forgotten native fruit every day. I have seen aronia juice and jelly in the grocery store. This tart berry is very high in antioxidants and studies are finding it successful in helping people recover from heart attacks and strokes. My husband and I use this often as part of a delicious breakfast. Another tart berry, this time a hard little red one that grows on the hawthorn tree, is a classic heart tonic. I have found hawthorn berries in jellies and syrups, though my favorite is the jelly. In our area, it is easy to find hawthorn trees growing in the wooded areas between farm fields. The berries can easily be foraged and made into food, dried, or frozen for later use. Hawthorn is known as a heart protectant and may help to lower cholesterol and regulate blood pressure. Everyone should have a little hawthorn berry in their diet as often as possible. If you can’t find it locally, you can find organic dried hawthorn berries here. This little bulb is not only fabulous in our food, it is packed with heart healthy goodness. Garlic is the only one I’m writing about today that I would use with a bit of caution. It can act as a bit of a blood thinner, so this should be taken into account if someone is on a prescription blood thinner. While we know we should use it fresh for its antiviral constituents, it is ok to cook it when we are hoping to benefit our heart. Garlic is well studied for its use in reducing cholesterol, but it must be used on a routine basis. Our heart works hard for us all day, every day. It just makes good sense to give it some appreciation. With delicious plants that can be used so easily in our food, why wouldn’t you? We put Hawthorne berry powder in our smoothies every day. It works! We also take garlic gels twice a day. Keeps everything running smoothly!